Ebony Twilight Metallic 2019 Buick Enclave Preferred FWD 9-Speed Automatic 3.6L V6 SIDI VVT FWD. Dark Slate Metallic 2019 Buick Enclave Essence FWD 9-Speed Automatic 3.6L V6 SIDI VVT FWD. Quicksilver Metallic 2019 Buick Enclave Essence FWD 9-Speed Automatic 3.6L V6 SIDI VVT FWD. Quicksilver Metallic 2019 Buick Enclave Essence AWD 9-Speed Automatic 3.6L V6 SIDI VVT AWD. Black Cherry Metallic 2019 Buick Enclave Essence AWD 9-Speed Automatic 3.6L V6 SIDI VVT AWD. 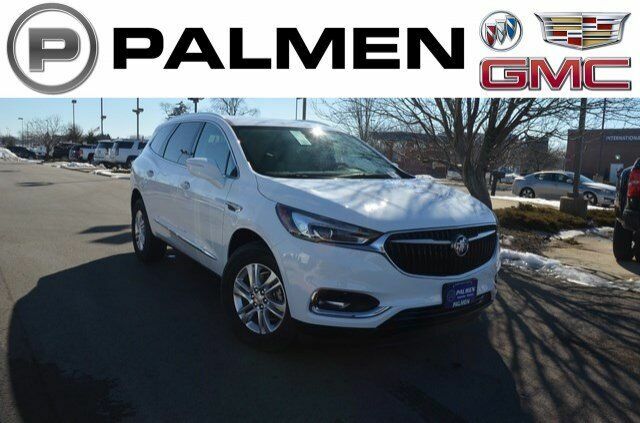 Pepperdust Metallic 2019 Buick Enclave Essence AWD 9-Speed Automatic 3.6L V6 SIDI VVT AWD. White Frost 2019 Buick Enclave Essence AWD 9-Speed Automatic 3.6L V6 SIDI VVT AWD. Ebony Twilight Metallic 2019 Buick Enclave Essence AWD 9-Speed Automatic 3.6L V6 SIDI VVT AWD. Black Cherry Metallic 2019 Buick Enclave Premium Group AWD 9-Speed Automatic 3.6L V6 SIDI VVT AWD. White Frost 2018 Buick Enclave Avenir FWD 9-Speed Automatic 3.6L V6 SIDI VVT FWD. Ebony Twilight Metallic 2019 Buick Enclave Premium Group AWD 9-Speed Automatic 3.6L V6 SIDI VVT AWD. White Frost 2019 Buick Enclave Avenir AWD 9-Speed Automatic 3.6L V6 SIDI VVT AWD. Satin Steel Gray Metallic 2019 Buick Enclave Avenir AWD 9-Speed Automatic 3.6L V6 SIDI VVT AWD.